Broad Channel is a quirky neighborhood, maybe the most unusual in all of Queens or even New York City. It's out in the middle of Jamaica Bay, surrounded by water on all sides, connected to the rest of Queens by two bridges and one subway. It is the only inhabited island in the bay. Broad Channel is actually within the Jamaica Bay Wildlife Refuge in the Gateway National Recreation Area, administered by the National Park Service. Jamaica Bay Wildlife Refuge is a major bird sanctuary in the Northeast, a must-visit for birdwatchers, and the only wildlife refuge in the national park system. The low-lying island is prone to flooding in extreme weather, and many of the houses are on stilts. It suffered significant damage from Hurricane Sandy in 2012. The land area is only about 20 blocks from north to south and four blocks from east to west. The dead-end streets are separated by artificial canals. There is no natural gas line to the neighborhood, and residents use costlier propane to heat their homes. Water. Everywhere you look is water, and that is the true boundary of Broad Channel. To get anywhere by car, you need to take a bridge. To the north, the Joseph P. Addabbo Memorial Bridge connects to Howard Beach. To the south, the Cross Bay Veterans Memorial Bridge leads to the Rockaways peninsula. In such a water-centered community, it is no surprise that many residents cherish their boats. Cross Bay Boulevard is the main street of Broad Channel and connects it to the mainland via the two bridges. The A subway line stops in Broad Channel. The QM 16 and QM 17 buses don't stop in Broad Channel, but there are connections in Howard Beach that run express all the way to Manhattan. The Q52 and Q53 buses are local from the Rockaways north along Woodhaven Boulevard. The neighborhood is fairly convenient to the Belt Parkway and John F. Kennedy International Airport. Generally, if you're in a hurry to get places (dry places), then you're not living in Broad Channel. 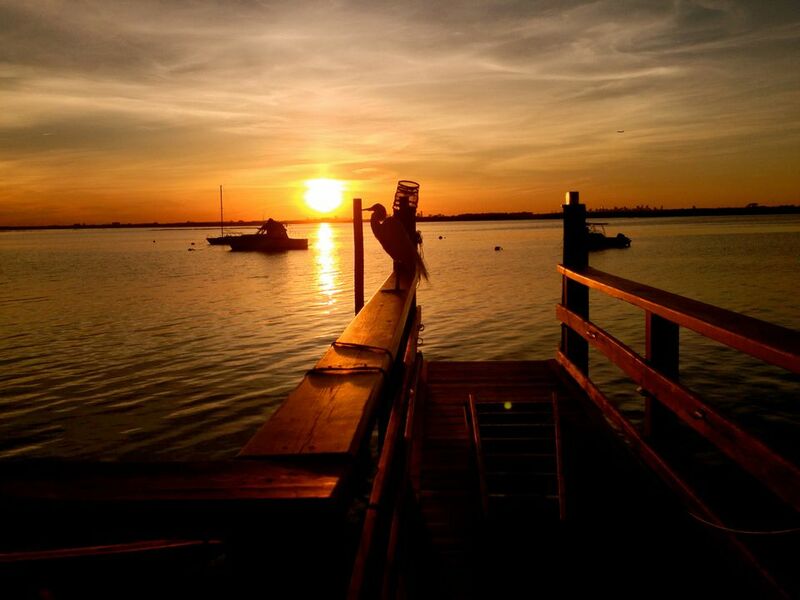 Broad Channel is in Jamaica Bay, one of New York City's greatest natural treasures. Used and abused for decades, the bay has seen some improvements in water quality and aquatic life, and at the same time, experienced some setbacks. Broad Channel saw development first in the early part of the 20th century when it became a summer home escape for New Yorkers. The subway came in 1956 and made connecting to Queens and the rest of New York City a lot easier. Because of its isolated location, Broad Channel's services are out of the ordinary. The Fire Department of New York does not have a firehouse on the island, but the community has a volunteer fire company, a nonprofit organization that works with local FDNY units. The Broad Channel volunteer fire department is one of only nine volunteer firehouses in the city of New York. It was organized in 1905. Broad Channel has its own library, a branch of the Queens Library. The post office is in Howard Beach, and it is served by the 100th Precinct of the New York Police Department, which is in Rockaway Beach.